HÀ NỘI — Chocolate made by Bùi Durassamy, a Vietnamese-Canadian chocolatier based in Tiền Giang Province, is one of the specialities on display at a fair for organic agricultural products, which opened yesterday in Hà Nội to celebrate the International Day of Happiness (March 20). Durassamy, often known as Samy, is the founder of Kimmy’s Chocolate Company, which makes traditional handcrafted chocolate. 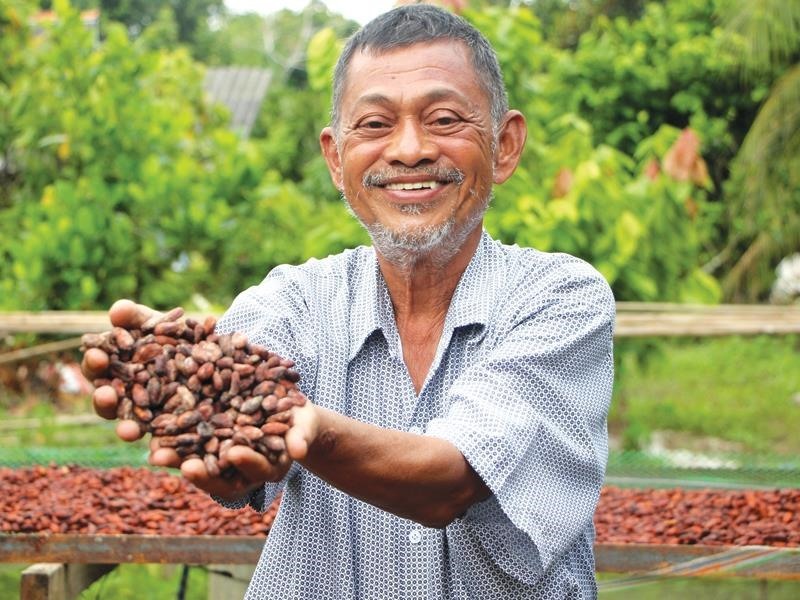 He is known for his passion for making chocolate from locally produced cacao beans. The fair is designed in the fashion of a market from the northern rural areas with bamboo booths featuring specialities from Hà Giang, Sơn La, Hòa Bình and the Mekong Delta region. The fair provides a family-friendly experience and organic products recognised by the Ministry of Agriculture and Rural Development. The event’s organisers believe a healthy lifestyle and diet can help bring happiness. Various specialities are for sale such as pork, rice, essential oils, vegetables from Pa Mỷ co-operative in Hà Giang and dried fruits from Vietnamese Agricultural Products co-operative in Hà Nội. The fair is also a place for enterprises and farmers to share organic farming techniques and technologies.